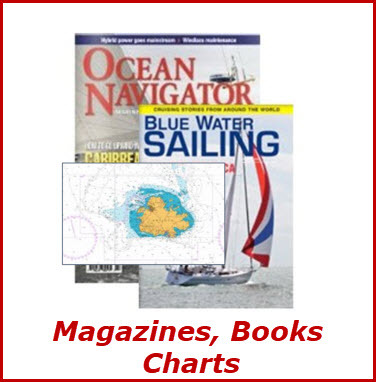 Your first source for nautical charts, nautical books, electronic charts and much more. Yachting guides to the Caribbean & Florida, navigation charts, books and CDs of nautical interest and much more. Cruising information about the Eastern Caribbean - companion site for Chris Doyle's Guides. The most current, accurate and detailed information available on the waterways. SSCA members receive a 20% discount when purchasing the Waterways Guide on their website, www.waterwayguide.com. Just enter the voucher code that can be found under Special Offers on the password-protected Members' Section page. The NOAA ENC® supports all types of marine navigation by providing the official database for electronic charting systems (ECS), including the Electronic Chart Display and Information System (ECDIS). Free on-line chart viewer over the internet. Series of guides for the Great Circle Route of the Eastern U.S. Happy Hooking is a very readable book loaded with valuable information on anchoring tackle, anchoring technique, tying up and rafting, anchoring etiquette, as well as the occasional anecdote - simply stated a must have! SSCA members receive a 20% discount on this best-selling book on anchoring. The Caribbean's Waterfront Magazine. Information on weather, events and more. Print subscriptions available and online. This magazine is a leading authority on offshore sailing, world cruising and the cruising life. Get a free one year subscription to BLUE WATER SAILING when you sign up for A NEW SSCA membership online. You can choose whether to receive a year of Blue Water Sailing magazine in the mail (U.S. mailing address only) or per online digital format. Either way, this is an added value worth $29.95, included with your SSCA membership dues. The monthly insiders view of the Caribbean's Sea & Shore. For Australian cruisers, this is "The Voice of the Great Barrier Reef." Pick up a free print copy if you're cruising down under or available free online for everyone. Cruising Outpost has been designed from the waterline up to provide people who love the cruising lifestyle with entertainment, information and most of all, a look into what it is really like once you cut your docklines. Whether you live on a boat, plan to cruise, or are just looking to see what this lifestyle is all about â€“ Cruising Outpost is your guidebook. 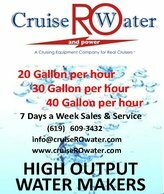 Cruising Outpost is a quarterly magazine available in both print and electronic versions,complemented by a full-service website with great info and advice, as well as an active forum. When you subscribe to Cruising Outpost you join an amazing fellowship of sailors and boaters. Dedicated to the cruising sailor. Creates a community of boating enthusiast engaged in maintaining and updating older boats. 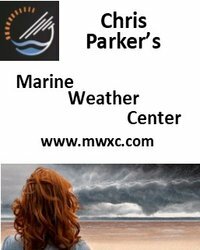 Free monthly magazine that focuses on sailing activities along the West Coast of the U.S. and Mexico and Caribbean. Latitude 38 is a driving force behind the annual Baja Haha cruisers rally from San Diego to Cabo San Lucas Mexico and is active in many Caribbean sailing events. The resource for the offshore sailor. SSCA Members receive a free digital subscription, available on the SSCA website's Publications Menu. The Trawler and Ocean Motorboat magazine. SSCA Members receive a discounted subscription rate and a free hat when they subscribe! Just login and go to the SSCA Members' Section and click on Special Offers to take advantage of this great rate. Free monthly magazine that focuses on sailing activities along the East and Gulf coasts of the U.S. and the Caribbean. Magazine of Chesapeake Bay Sailing. Free monthly magazine that focuses on sailing activities in the Pacific Northwest. Complete online content.